Never be at a loss for words when the spotlight calls. 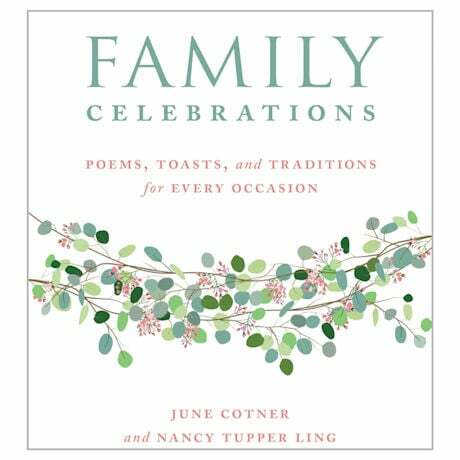 This essential collection of poems, graces, toasts, and traditions gathers over 240 inspiring and uplifting passages that are beautifully appropriate for holidays, weddings, graduations, housewarmings, and more. Even everyday occasions will become unforgettable moments when accompanied by the appropriate passage. Hardcover, 216 pages.